Friends of Rick's from the Czech Republic, Slovenia, and Bosnia share a Slavic perspective on what it means to participate in the European Union. Then novelist David Lida describes what poverty in rural Mexico looks like, and its role in the lives of many who enter the US illegally in search of work. Plus, Rick shares an audio snapshot from a restoration project in the heart of Warsaw. Tour guide Jana Hronkova is based in Prague, Czech Republic. Tour guide Marijan Kriskovic is on Facebook. Frequent traveler Lane Galloway writes about his touring experience with Amir Telibecirovic in Bosnia. Rick and his local Polish guide Hubert consider the cost of war while strolling through another park in Warsaw in this video blog from Rick. David Lida is the author of "One Life," loosely based on his mitigation work on behalf of undocumented Mexicans, charged with capital offenses in the United States. 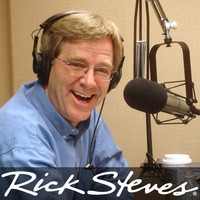 David Lida discusses living in Mexico City, in a 2009 appearance on Travel with Rick Steves.